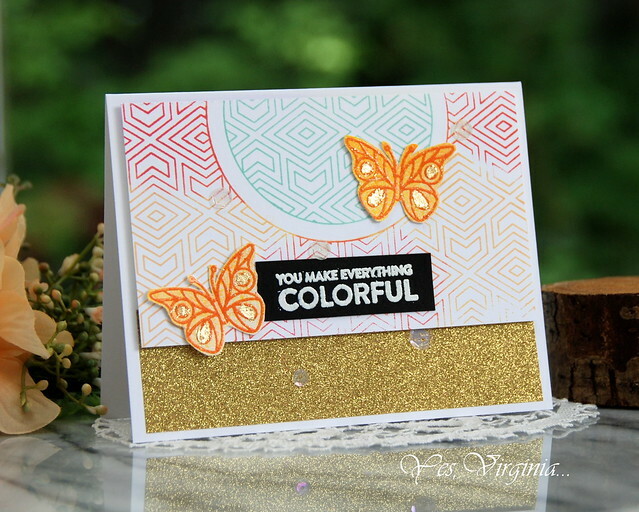 I am popping in with a colorful card--it's 100% stamped and embossed. 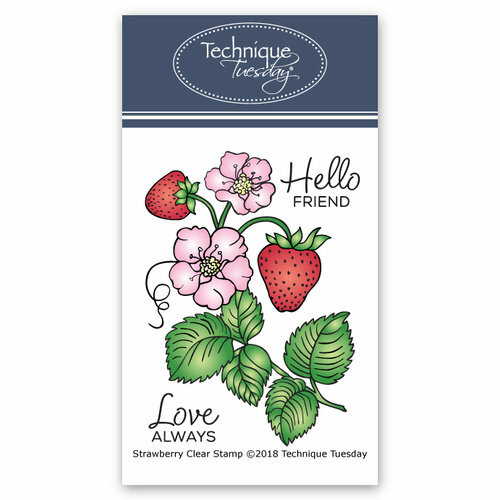 This detailed cling stamp from Penny Black is perfect for stamping any colors. 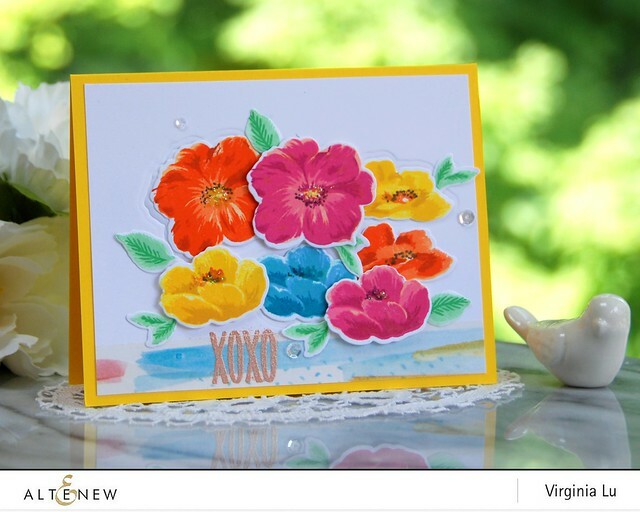 I used my Zig Watercolor Markers for coloring the images. I do not have too many makers, but I would recommend 24-30 at least if your budget allows you. 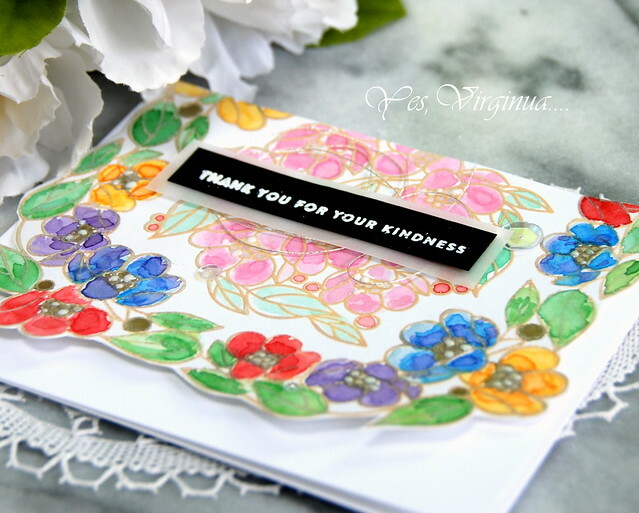 I had a fabulous time stamping with the image. 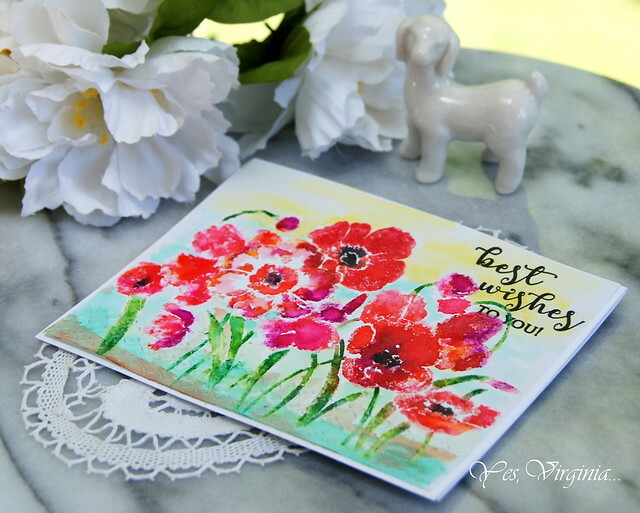 In between each stamping, I spritz some water mist to keep the water going, but not overly wet. Once I was happy with the main image, I stamped in Versamark and clear-embossed the image. This would help "seal" the image. I then went ahead and added colors for the background. 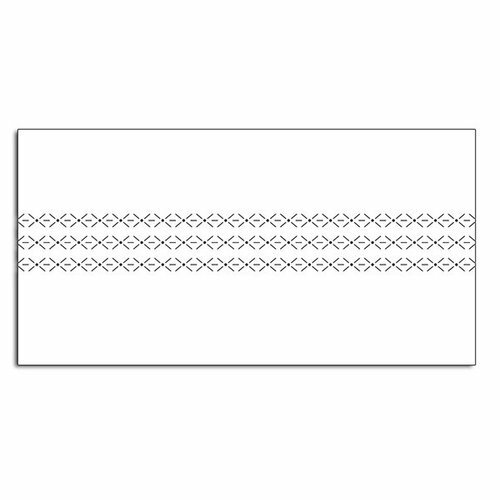 Penny Black - Creative Dies - Rows of Stitches. 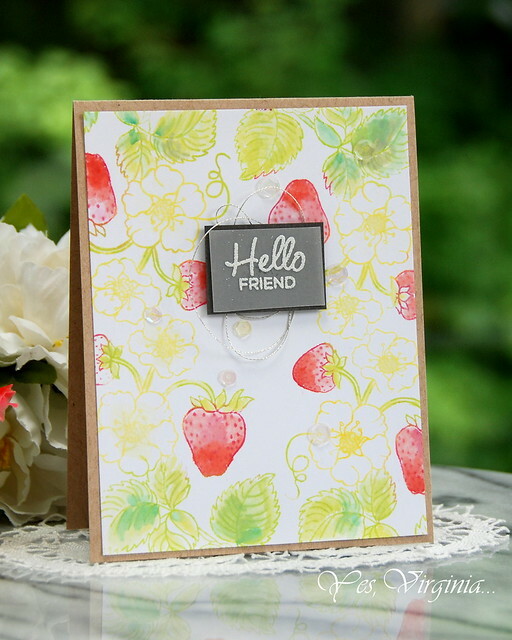 This die will create rows of subtle stitched lines. I thought that is a great element for this super bright card. No need for sequins or any embellishments. It's scorching hot here in area. 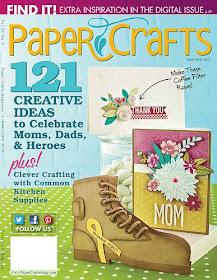 I am planning to stay cool and crafting at home. 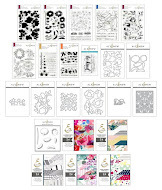 For the latest sales and promo (updated daily), please click here. 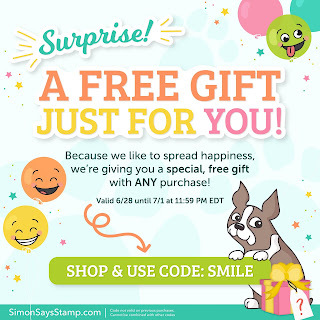 Simon Says Stamp offers a FREE gift with any order--click here or banner. 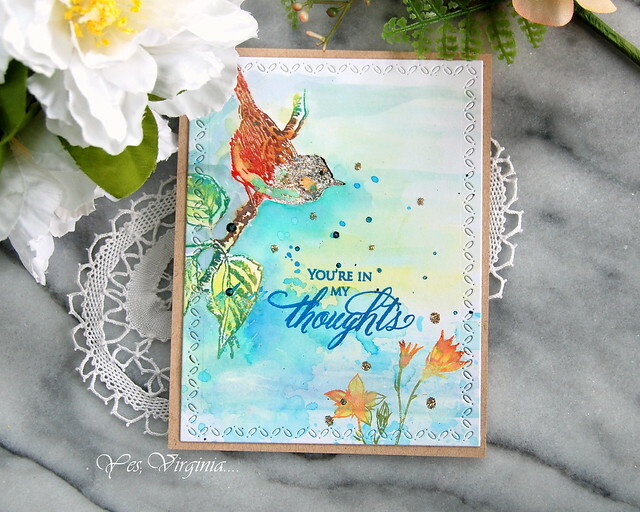 I am fluttering by with a card that I created with the large Background stamp from Simon Says Stamp new release "Good Vibes". 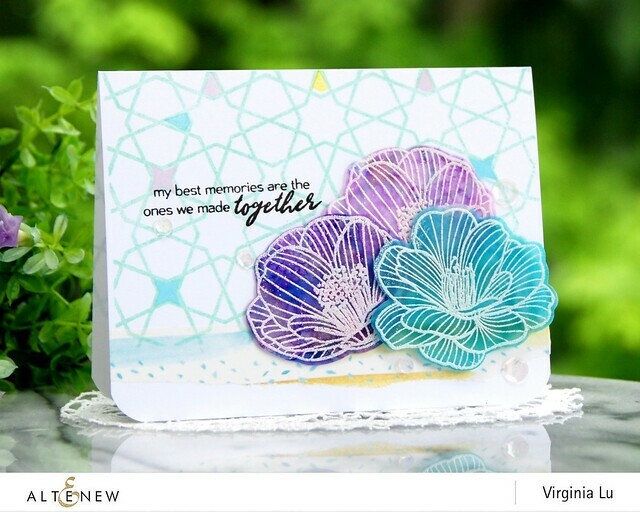 I love the intricate geometric pattern in this stamp and didn't want to mess with it too much. 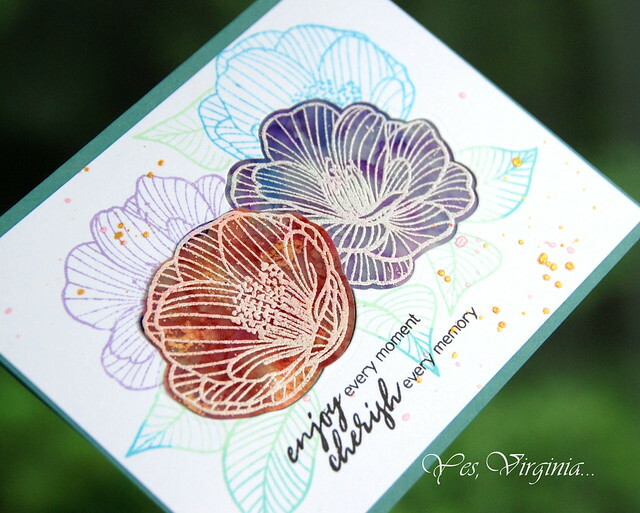 I took a multi-color approach and colored the cling stamp with a few favorite colors. I wanted to pop up the image and decided to add foam pieces to some dimensions. Using glitter paper wouldn't hurt, either! Of course, the design would be kind of bland without adding something something. I resorted to add two butterflies (easiest solution!). But then again , that didn't seem to be enough. I ended up adding some Nuvo Gilding Flakes with the help of Zig Glue Pen. to parts of the butterflies. I think I am good now! 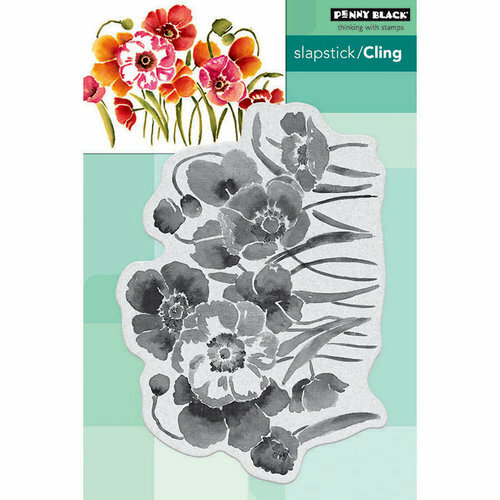 I have listed a few more cling stamps with removable center for your reference. 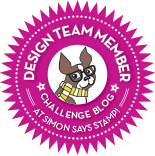 From now till July 1st, Simon Says Stamp has a special offer. Use code "SMILE" at the check out. By the way, did you see this NEW Ink? Yup, trouble. 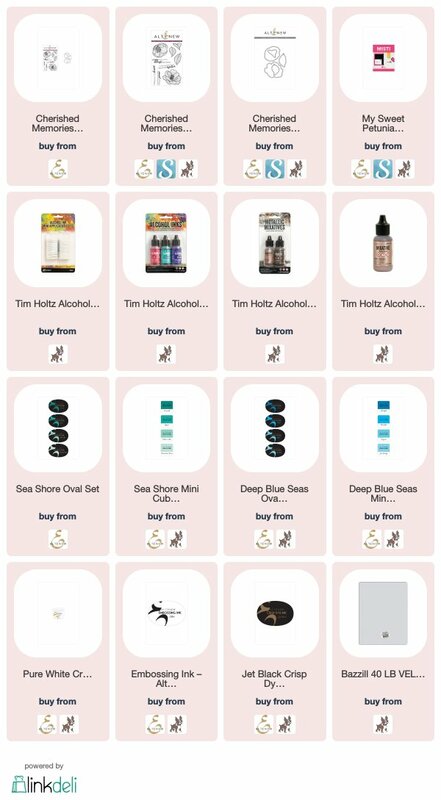 For all the latest sales and promotion, please click here. 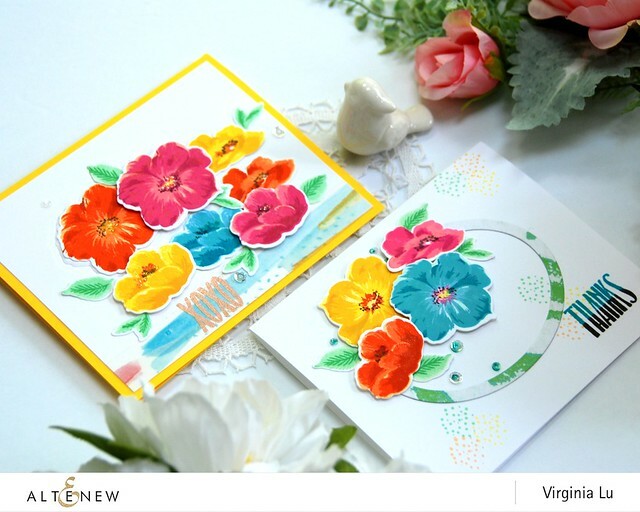 Today's my turn to share some bright and happy projects over Altenew Card Blog! 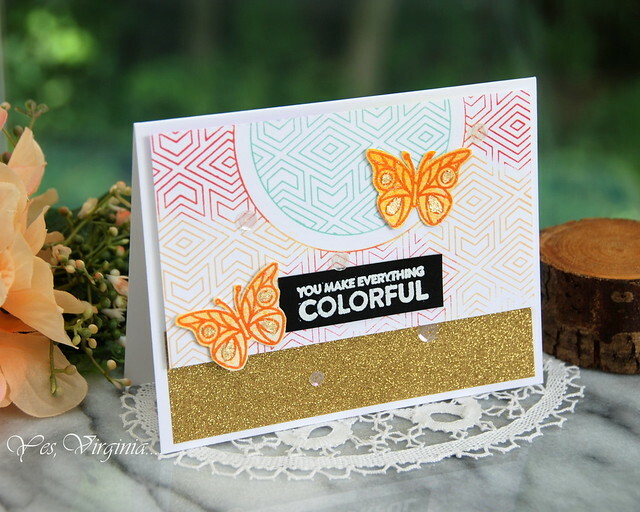 Have you stamped something simple and colorful lately? If you have not tried it, it really is a great "therapy"! I am using this Climbing Clematis as my example. 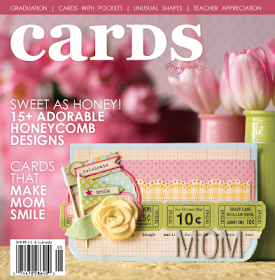 I took out half piece of card stock and positioned the 3 largest sizes of stamps in my MISTI. 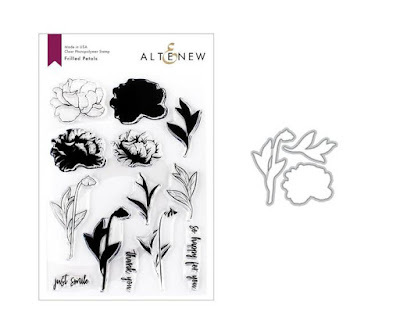 By following the helpful guide on the package, you can successful stamp each flower with Altenew Ink. You can mix the shades and colors to your liking. 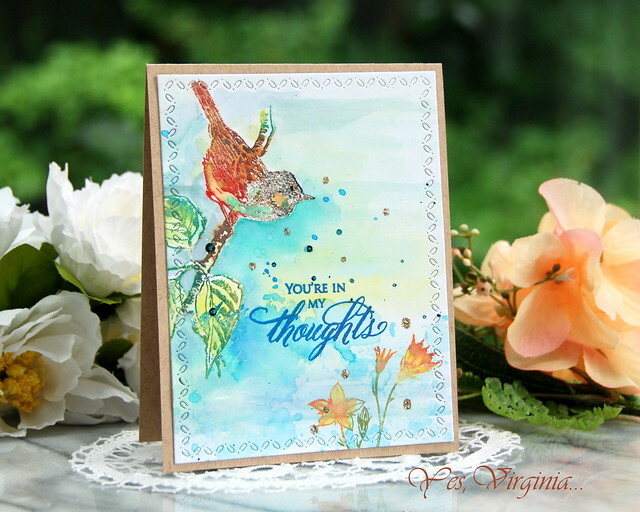 I used the smallest stamp for the background and created a two-color sentiment (from Watercolor Dots). 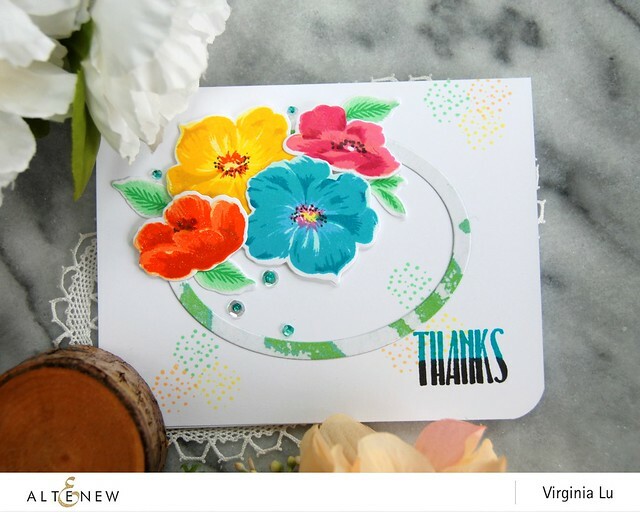 The oval die from " Create-a-Wreath Die is perfect to ground the cluster of stamped Climbing Clematis. 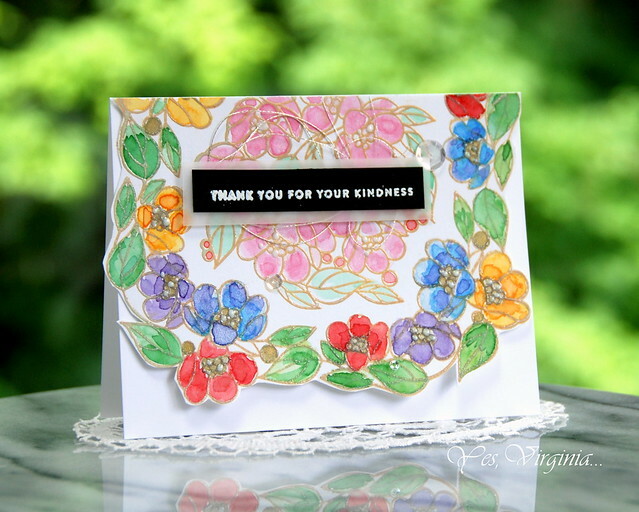 Since I stamped quite a few flowers, the next card is all from the "extras". There is nothing too fancy about these two cards. 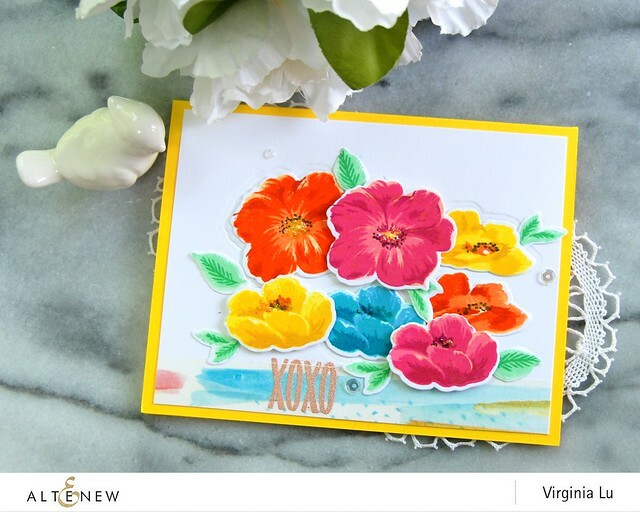 However, it's all in the details on how you personalized your stamped images! 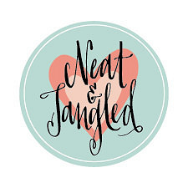 You can add your signature style or your own twist with it. If you look closely, you can see the ridges around the yellow and orange Clematis. 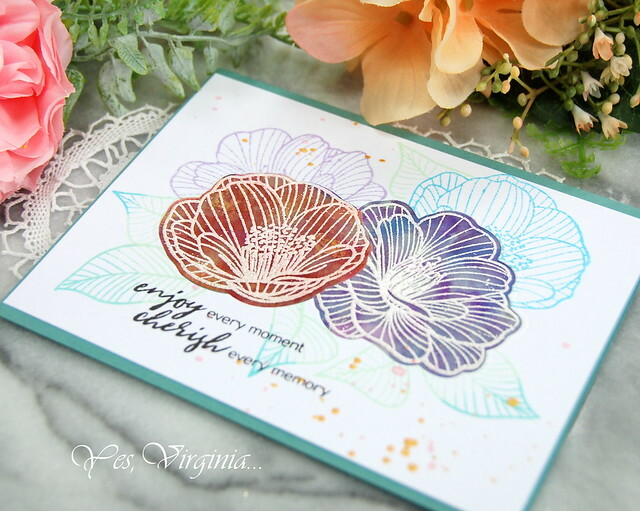 Before I adhered the flowers to the card stock, I ran the Clematis matching die to through the die cut machine along with a tan embossing mat/shim. 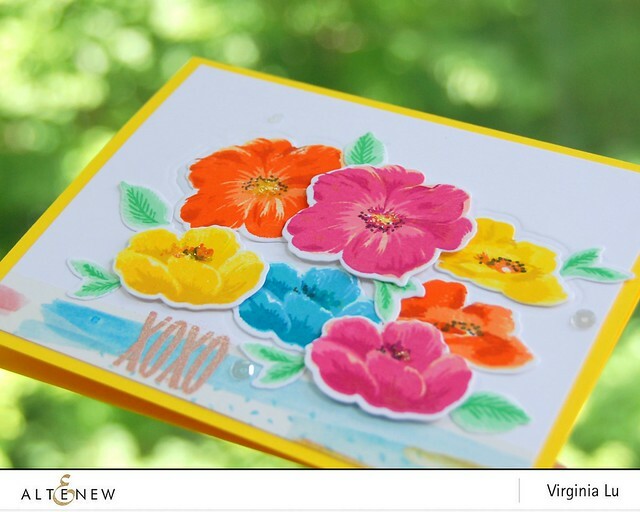 The Warm Sunshine Cardstock really brings out the bright color! 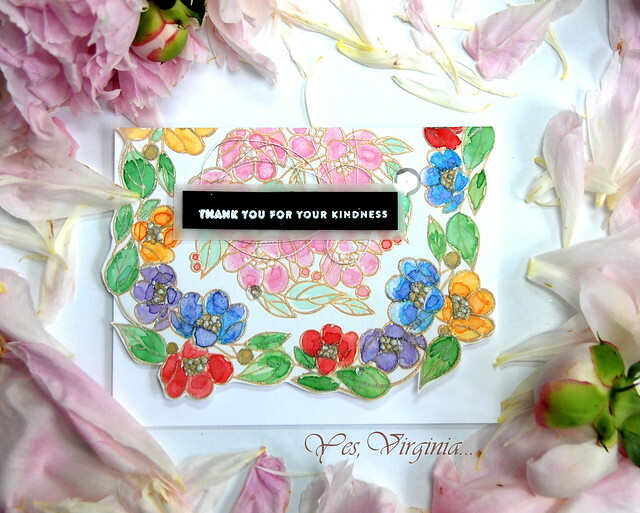 The sentiment was embossed in Rose Gold over Watercolor Stroke Washi Tape. 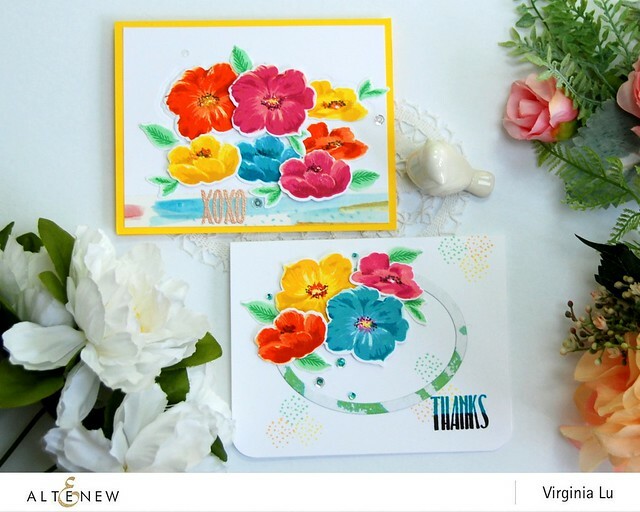 I hope that you enjoy seeing these floral creations today! If my post makes you want to stamp, stamp, stamp... I will be so pleased, too! 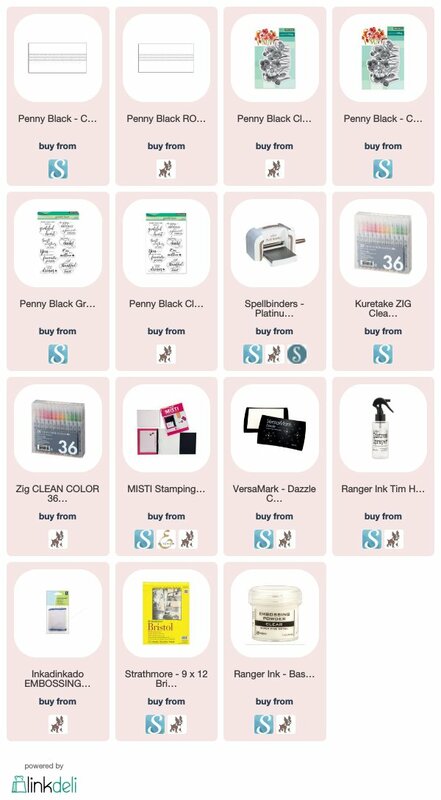 All products used are listed below with affiliate links at no additional cost to you. 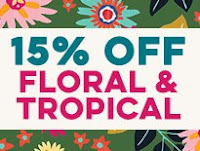 For all the latest promotions and sales, please click here. 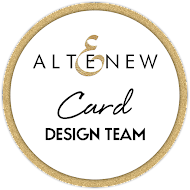 I would appreciate it so much if you can leave your comment over Altenew Card Blog. Thank you for your support and stopping by! I am back with a techniques (or two) on a Tuesday and that is TODAY! 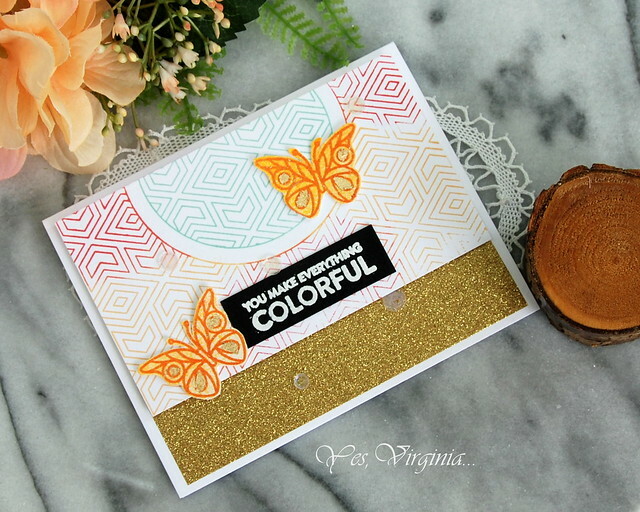 I decided to use the entire stamp to create a soft and colorful background. 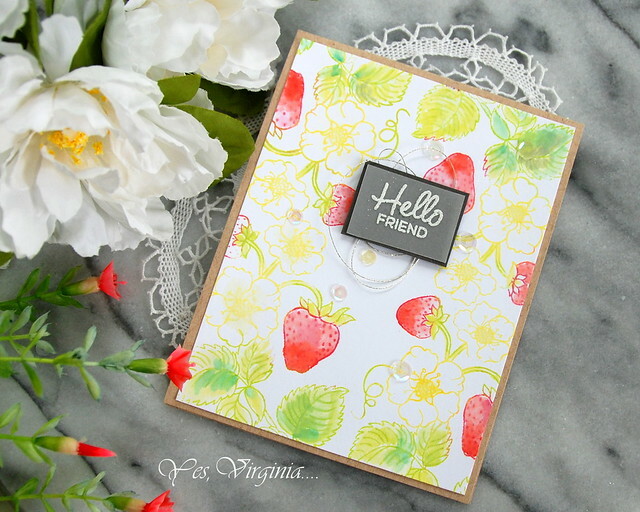 I just love how Distress Oxide can help with stamping and ink-blending. 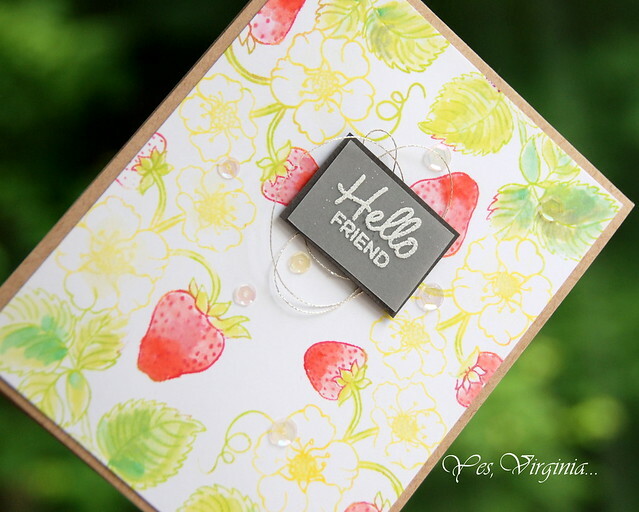 I do have one tip for stamping background like this. 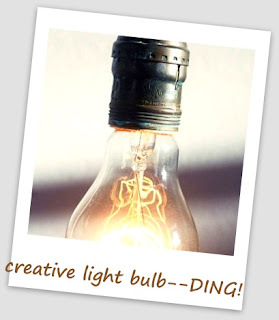 Ding---> start with the main image that you want and then work the rest AROUND it. That way, you will not struggle with odd and empty space. 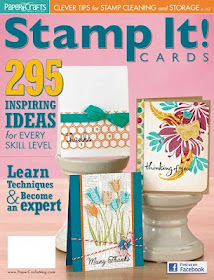 Be sure to tilt your stamps or paper while you stamp, too! This will make it more visually-appealing! As you can see, my stamped images are not completely clean and crisp. But that's OK...because I really just want to have a play and not having to fuss about the details. 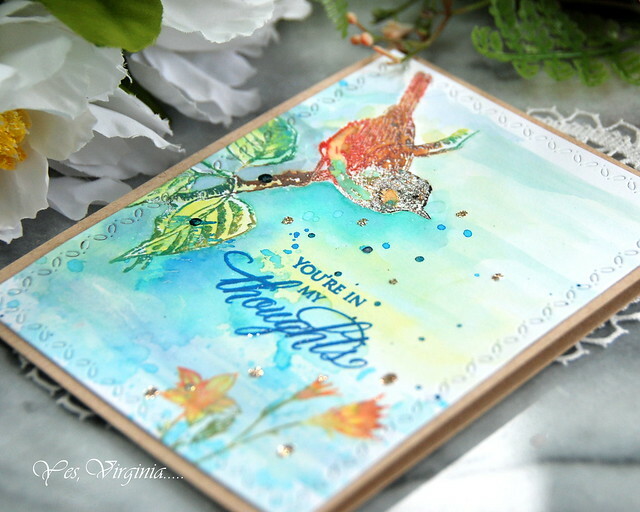 That's really what stamping is about--explore anything your heart desires with stamps and forget about the rules once in a while! Allow yourself to make imperfect impressions. It's absolutely fun and freeing! 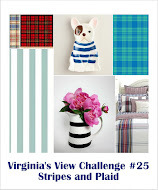 Thank you so much for spending a few minutes with me in my blog today! 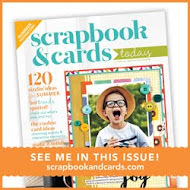 Scrapbook.com offers FREE shipping with order over $60. Today you get FREE standard shipping on any order of $60 (or more). 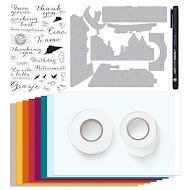 Shop for any items you want in the Scrapbook.com Store then enter coupon code SHIP62618 during checkout. All shipping costs will be removed from your order. * Expires June 28th at midnight PST. 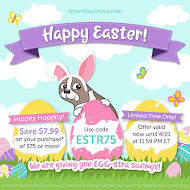 *Please note: If your shipping address is outside of the contiguous US, enter code SAVE62618 at checkout to get $6 off your order discount instead. You know about movie having a spin-off, right? 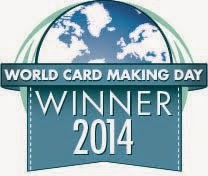 Well, card-making does that, too! and today's post is about using the extra pieces in my own creative way. 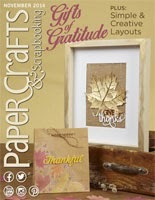 I took out the die cut pieces and made a seamless die-cut. 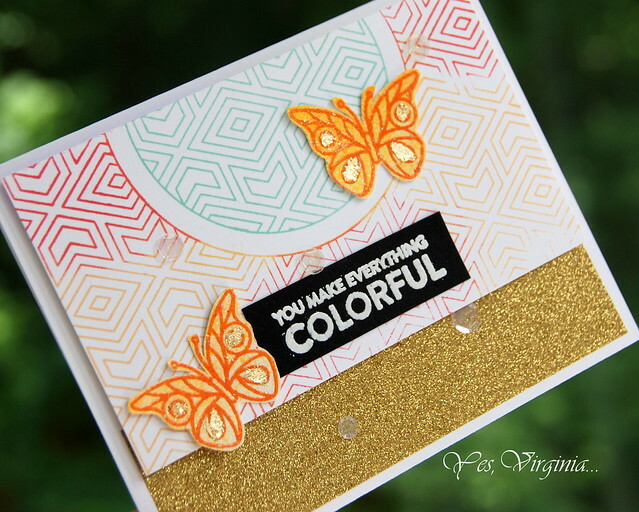 The background stamping was partially masked as well. Also, I cut out the dies from the white card stock...thus, the entire image is 100% FLAT. The reason? No reason. I just want to do something different and creative. 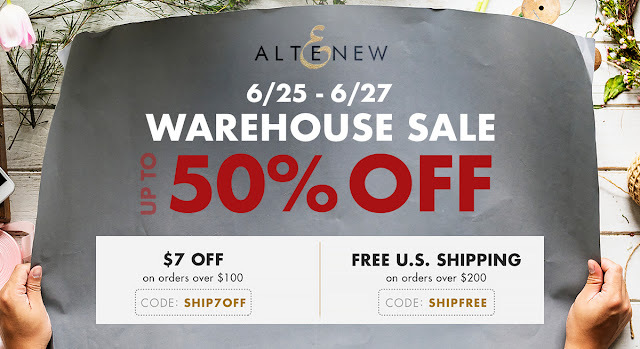 From Altenew promotion: This summer Altenew warehouse is moving to a new location. While we are clearing out products from our warehouse, we’d love to pass the savings on to our customers! Do take advantage of these incredible prices! 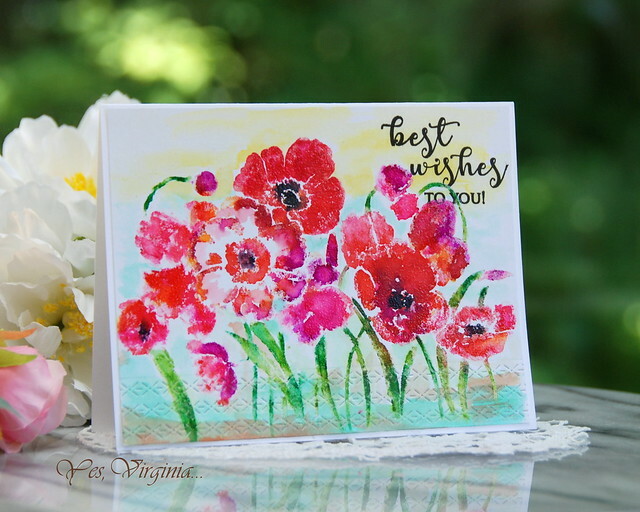 I am excited to share card that I made the other day. This card took me quite a while to finish. Its not because it was hard, but it did take time for each layer to dry. If you see the photos, you would know why good things do take time (sometimes). 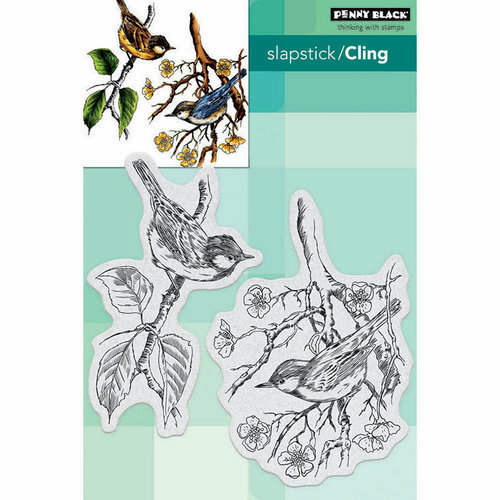 I started out with stamping the bird first. All the ink-coloring and layering are done with Distress Oxide. 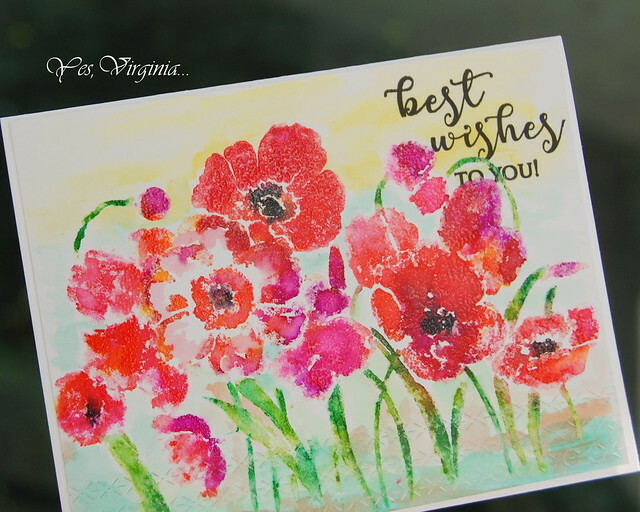 I then add a layer of color wash for the background and gradually added details (splatter, stamping flowers at the bottom... etc). 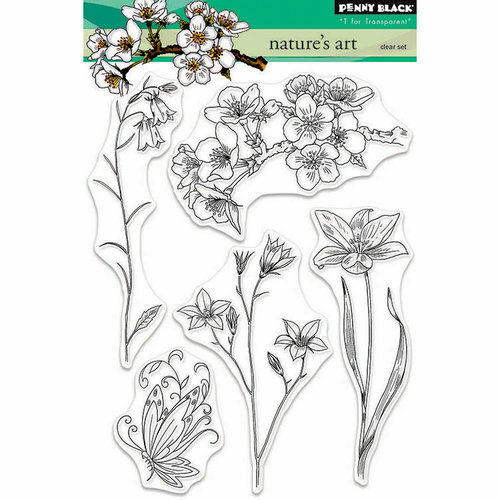 The flowers (on the lower right) are from Nature's Art. 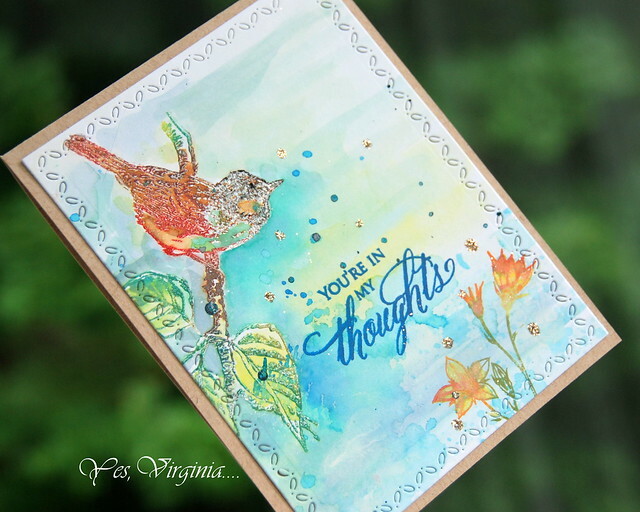 Instead of stamping sentiment in black, I stamped it in blue and love how it sort of blended with the background that I created. And oh...did you see the glitter? It was easy to add that bits of glitter. With the 2-Way Glue Pen and TH Distress Glitter, I absolutely LOVE the result with so little effort. I hope that you enjoy seeing cards like this. 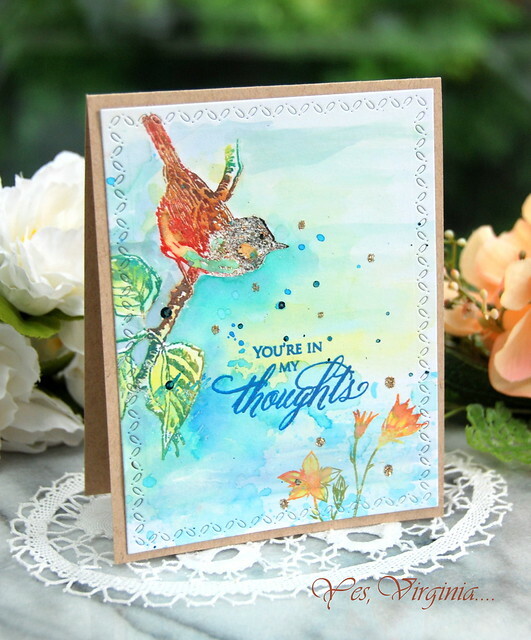 It was a JOY to create something with nature stamps as they make you feel like an artist! 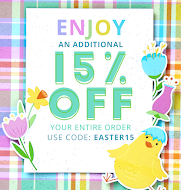 For all the sales and promotions, please click here! 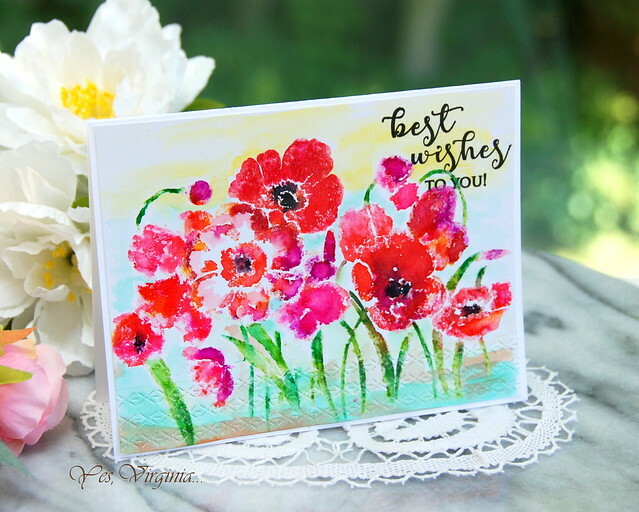 I am popping in with a post about using a large stamp. This (new to me) stamp certainly intrigued me. I used the two parts of the stamp separately. 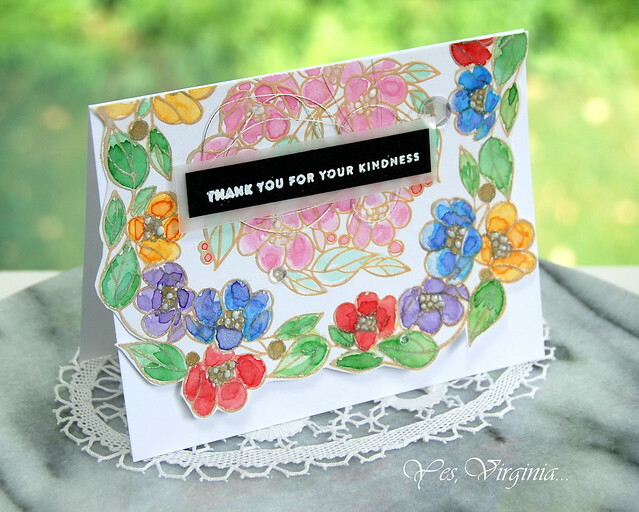 First, I stamped, embossed and watercolored the outer image first. Once I fitted the inner stamp inside the outer stamp, I then removed the outer layer from Stamp Positioner such as TH Stamp Platform and MISTI. After coloring the entire piece, I decided to cut out the bottom part of the image and adhered it to the white card stock. 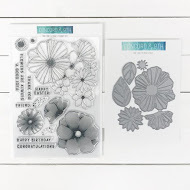 I am sure there are many many ways to use this stamp....only if I have all the time to try them all out! 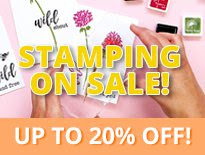 Scrapbook.com has 20% off stamping (24 hour only). Click here. 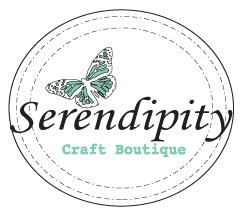 For the latest sales and promo (updated at least once a day! 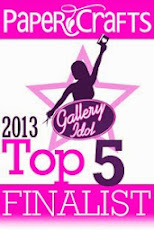 ), please click here.